The all-female horn quartet Genghis Barbie performs on The American Sound, 6 p.m. Saturday and 7 p.m. Tuesday on Classical 101. 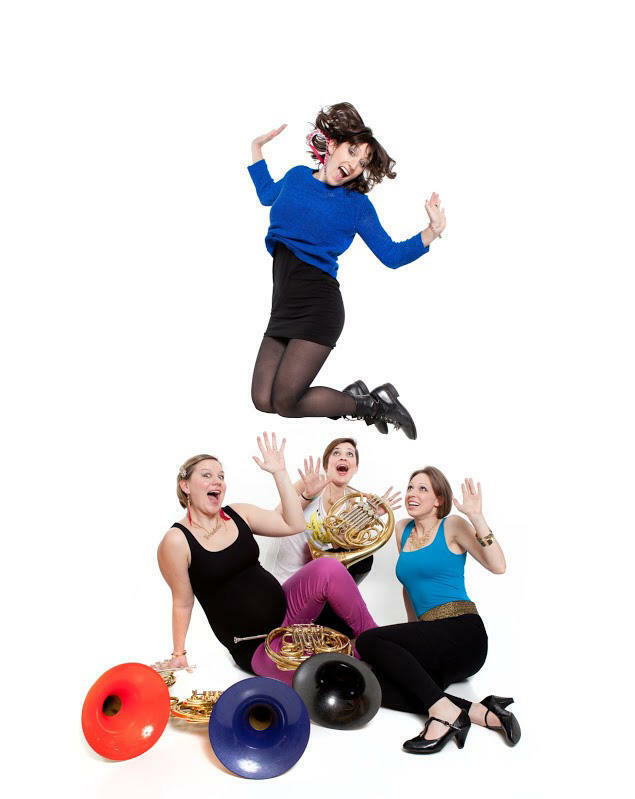 That’s how hornist Danielle Kuhlmann remembers coming up with the idea to form a quartet with three of her closest French horn friends: Leelanee Sterrett, Rachel Drehmann and Alana Vegter. They thought the experience was so fun that they wanted to share it with others. Thus the all-female horn quartet Genghis Barbie was born, of four friends wanting to have fun playing music. “It’s been as much a celebration of our friendship as of our musicianship and our horn playing from the very beginning,” said Sterrett, who also serves as third horn of the New York Philharmonic. Also from the beginning the members of Genghis Barbie carved out a unique niche for the group, which specializes in playing '80s and '90s pop music and traditional tunes, as well as classical repertory arranged for horn quartet. As freewheeling as this image may seem, it wasn’t fun and games for many when Genghis Barbie first showed up on the scene. However, Drehmann said the group also received staunch support from horn icons like Julie Landsman, former principal hornist with the Metropolitan Opera Orchestra and a member of the Juilliard School faculty. They’ve also received invitations to perform as a featured ensemble at conferences of major professional brass musician organizations and at universities, where they’re often featured as teaching artists. But just as the American economy has moved beyond the Great Recession, the musicians of Genghis Barbie also have moved forward in their careers. Drehmann freelances fulltime in New York City, while Sterrett (Cosmic Barbie) and Vegter (Freedom Barbie) perform full time with the New York Philharmonic. Kuhlmann, for four years a member of the San Diego Symphony, is leaving at the end of the current season to join the Seattle Symphony. The Barbies say this coast-to-coast arrangement has required the group’s emphasis to shift from touring to publishing and selling their quartet arrangements and CDs and, right now, to planning their fifth recording. And though they’ve toned down the super-glam get-up over the years, the musicians say they’re still committed to the group for the sheer joy of making music together. If you had taken your daughter to an orchestra concert fifty years ago, almost all of the musicians she would see on stage would have been men. Not anymore.